The actor and LGBT ally posted a detailed defense of his support for a Northern Ireland bakery that refused to make a cake celebrating marriage equality. Declaring that “both equality and freedom of speech are fundamental rights,” actor and outspoken LGBT ally Patrick Stewart took to Facebook to share an eloquent defense and explanation of his stance in the controversy surrounding an antigay bakery in Northern Ireland. “In my view, this particular matter was not about discrimination, but rather personal freedoms and what constitutes them, including the freedom to object,” Stewart wrote Friday. 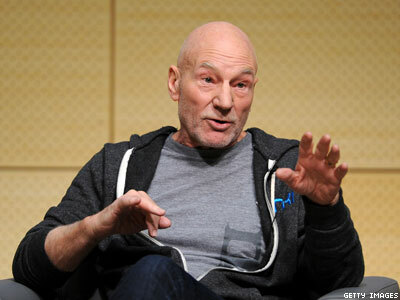 The actor, best known for his role as Captain Picard on Star Trek: The Next Generation, told the BBC last week that he supports the right of a U.K. bakery chain owned by a Christian couple to refuse to make a cake with a pro-marriage equality message.